Your Aurora and Naperville, IL Chevrolet dealership has the refined 2017 Chevrolet Malibu for sale now. Car and Driver says, “The Chevrolet Malibu is one of our favorites among family sedans and an excellent car in its own right. It is attractive, light for its class, and solidly built.” You can find the 2017 Chevrolet Malibu LS for sale at Chevrolet of Naperville. The LS trim offers conveniences like keyless entry and ignition, cruise control, OnStar, Bluetooth phone and audio connectivity, MyLink infotainment system, and a 7-inch touchscreen with smartphone integration. Contact Chevrolet of Naperville to schedule your test drive! Finance the 2017 Chevy Malibu LS Today! Chevrolet of Naperville offers a strong lineup of vehicles, including the Chevy Malibu LS. Visit with our knowledgeable staff to hear about your trim, financing, and lease options. Explore the Chevrolet Malibu LS with a test drive. With over forty-five years of experience, Chevrolet of Naperville is prepared to help you with your next vehicle purchase. Aurora drivers will find first-rate finance options, including a pre-qualification for auto financing available from home. Our full service auto finance department will make your car buying process easier with a car payment calculator and a variety of Chevy rebates and incentives available to you. You can also rely on our factory-trained and certified technicians to maintain all your Chevrolet service needs. 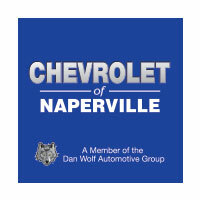 Buy with confidence at Chevrolet of Naperville.